It is no secret that I am a huge fan of Super Duper® Publications and in fact, it is my #1 choice for all of our supplemental learning activities. I homeschool my three children and Super Duper® Publications has all of the best educational products at the most affordable pricing so it is friendly for our budget too. My eight year old son reports that he “loves” to play this game and doesn’t even consider it to be a learning assignment. He likes that it has multi-level assignments in a mission format that is especially appealing to my adventure –loving son. 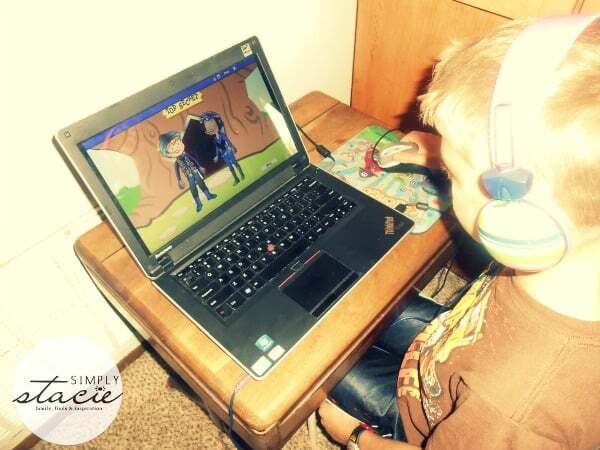 He really likes the engaging characters and the interactive plot line as he moves through each level while improving his memory and concentration skills. One of the areas that we have focused on in particular for Adam is that he normally needs to have complete silence when completing a school assignment. This can be a challenge with two younger siblings and especially in the real world. I love that the HearBuilder program allows me to add background noise at the expert level so he can practice playing even in distracting situations. Furthermore, I can choose the general levels of play for each of my children based on their age/skill level and can monitor their progress and even print progress reports to see their strengths/weaknesses and plan my own curriculum accordingly. 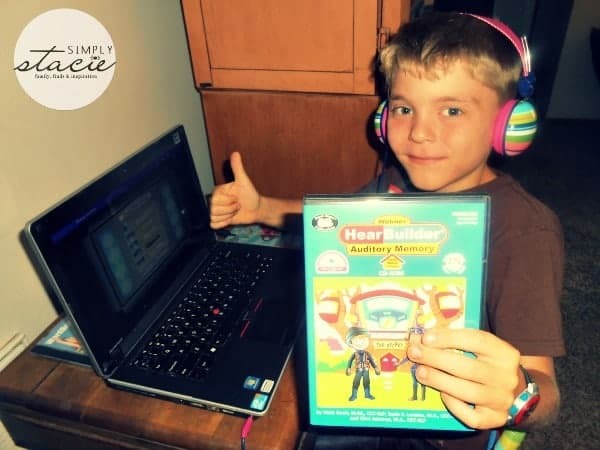 The HearBuilder Auditory Memory CD-ROM computer program is developed for home use for 1-4 children and there is also a professional edition available for unlimited students. Super Duper® Publications has a wide selection of CD-ROM and software available for children of all ages. You are invited to visit Super Duper® Publications to browse the entire selection and purchase your favorites……… shipping is always free on orders over $20 in the United States and Canada! Grammar Gumballs® Board Game looks amazing. the Gumballs board game looks like a blast, we would def pick that! dang i put the wrong link in there lol. Please disregard it… sorry!! I like the game: What’s in Ned’s Head? I like the Fun Decks. i love that they have autism products!! that would go a long way in our household!! I like the Webber sign language cards. They have some great products!!! My grandkids would like the Jeepers Peepers® Glasses Game. I learned that they started in 1986 with two products and now make hundreds. The Gumball Grammar game looks fun! I love the whole Fun Deck collection. What a great way for a child(or someone) to learn to speak and learn about the English language. What a cute game Jeepers Peepers Game. I learned that they carry products for helping autistic kids! Mobile App for my son , thank you! We’ve also love Granny’s Candies! I went to their site and learned they also have products for children with autism. My son would love the pirate talk game. I like the Sight Words flashcard sets. my son would love the fun decks! I like the First 100 Sight Words Deck for my granddaughter. I love Super Duper, I’m a speech pathologist. My fave product is Chipper Chat. I would love to try the magnatalk feelings. The Pirate Talk board game looks like a lot of fun! Pirate talk sounds like a fun game for my boys! HearBuilder® Following Directions Software Program, thanks! 400 Webber Sign Language Cards would be great! The Pirate Talk would be fuN!